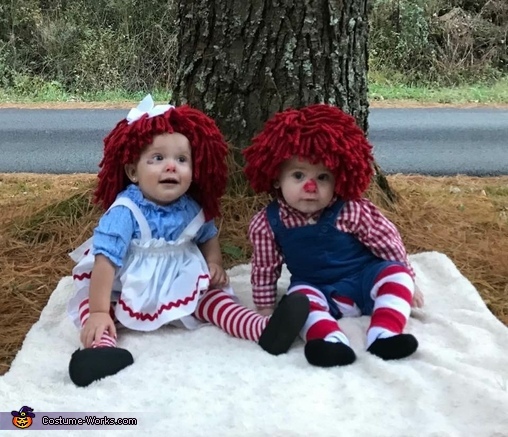 My 7 1/2 month old son and his cousin Miss Maleigha are wearing their Raggedy Ann & Andy costumes on trick or treat night. We got this idea from of course the actual dolls. Maleighas mom and I had both owned one when we were younger and thought it would be the cutest to have them mimic the dolls together. Hello Can I buy this from you?